Precursor to a New Paradigm in Russia-China-USA Cooperation? 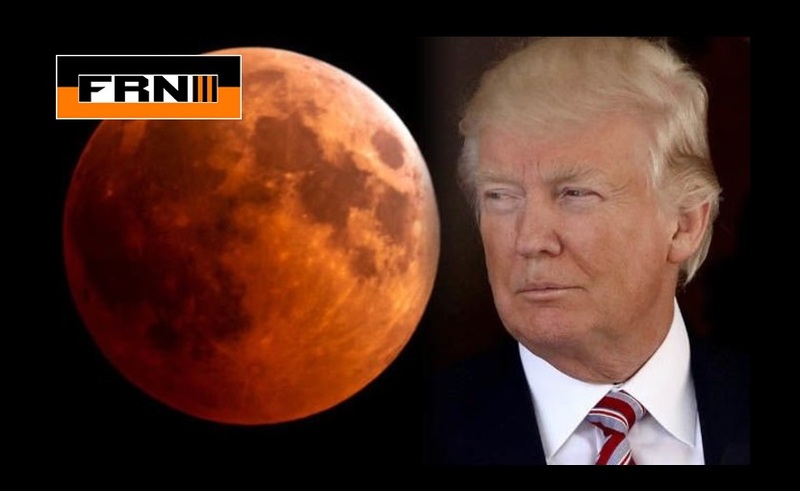 On March 26th President Trump, now relieved of the burden of the RussiaGate investigation holding down his administration, has made the important strategic announcement that America will be reviving the John F. Kennedy space program to bring humanity back to the Moon with the intention to leap onwards to Mars. The release went on to document the creation of a Moon-to-Mars Directorate which will begin with an “Exploration Mission-1” as a “foundational unswerving mission around the Moon” by 2020 which will precede the manned landing. The point should be made that since its inception by John F. Kennedy in 1961, the Apollo program was systematically attacked by neo-Malthusian technocrats today identified as the “Deep State”. These technocrats despised the fact that the very existence of the space program’s existence not only refuted the notion that there exist fixed limits to humanity’s existence, but more positively inspired a cultural optimism centered on the belief in the power of human ingenuity and scientific progress. This ennobled concept of a creative mankind ripe with boundless potential is antagonistic to a docile slave society of consumers who live only for the pursuit of banal pleasure and the avoidance of pain. Although the argument to cancel the program was based largely on the idea that “money would be best spent on Earth where it is needed rather than on useless endeavors in space”, it is too easily forgotten that many of the most prized technologies that drive our modern society, from cell phones, GPS, and the internet all arose as offshoots of the space program. These breakthroughs also included invaluable technologies in medicine, chemical engineering, nuclear science and electronics which have improved the potential for human wellbeing in ways that money could never measure. By 1965, only two years after the British/Deep State-directed assassination of John F. Kennedy, the funding for NASA was already being undermined and it was a miracle that Neil Armstrong and Buzz Aldrin managed to land on July 29, 1969. By 1973, several other landings had occurred and just as hope for Mars Missions and nuclear propulsion were being discussed as near term goals, the entire Apollo program was cancelled. It is no coincidence that cancellation occurred just as Nixon had pulled the plug on the Bretton Woods fixed exchange rate system thus ushering in a new age of monetarism, speculation and consumerism dubbed the “post-industrial society”. Trump’s March 26th announcement also calls for “NASA to lead an innovative space program with commercial and international partners.” This statement is incredibly important as it overthrows the popular slander that trump is an isolationist promoting global (and interplanetary) unilateralism as many neo-cons within his government would otherwise like. The White House space initiative dovetails similar programs announced by Russia and China who have taken incredible leaps into advanced nuclear physics, aerospace technology, and deep space exploration. All three domains providing wonderful platforms for cooperation with nations too long trapped under the London-Wall Street cage of monetarism and geopolitics. On November 29, Russia’s space agency stated that it would establish a lunar colony by 2040 as a multi-phase project beginning with Russia’s first manned mission arriving in 2025 followed by a permanent base constructed between 2034 and 2040. Inspired by China, Russia also announced a telescope on the Far side of the moon to gather data from deep space un-impeded by the radio and electromagnetic disturbance of the Earth. While China was expelled from the International Space Station as an effect of America’s 2011 ban on China-USA space cooperation, China’s space scientists have been forced to build an incredible sovereign science and technology capacity with the Chang-e program for deep space exploration which has resulted in the Tiangong (“Heavenly Palace”) space station which will be assembled by 2022 and in their milestone January 3, 2019 landing of a rover on the far side of the Moon. This lunar landing is one small component of a much broader space program which some of China’s leading scientists have pointed out is tied to a lunar colony, orbiting space station and most interestingly lunar mining program. It is noteworthy that the success of China’s lunar landing was made possible through cooperation with an American lunar orbiter which relayed data to the Chinese lander breaking the fatal Obama-era space cooperation ban. With the Belt and Road Initiative challenging the foundations of the zombie corpse of the post-Apollo western alliance now sitting atop a rotten husk of 50 years of de-industrialization and trillions of dollars of fictitious capital, a new hope for a serious re-organization of the system has been created. Were nations to immediately convene an emergency Bretton Woods conference as had occurred after WWII, in order to re-organize the bankrupt financial system while unleashing credit for International Belt and Road projects both on earth and in our interplanetary environment, then the age of oligarchism can finally come to an end and a new era of cooperation and creativity can be unleashed for the benefit of future generations.